Role-Playing In A More Civilized Time. Everything Jules Verne should have written. Everything H. G. Wells could have written. Everything A. Conan Doyle thought of, but never published because it was too fantastic. Everything you need for adventures of the century! The Space 1889 role-playing game covers the exciting background of Victorian science fiction: ether flyers and Martian cloudships, the canals and ancient civilizations of the red planet, Venus' swamps and dinosaurs, the honeycombed interior of Luna, and the thrills of inventions and inventors: the driving force behind Victoria's multiworld empire! Space 1889 is Frank Chadwick's registered trademark for his game of Victorian Era Space Faring. Originally published twenty years ago by GDW, Space 1889 is the original "steam punk" game, even though it pre-dates the term by a couple of years. GDW produced a large range of books, miniatures, and board games for Space 1889 from 1989 to 1991. In 1999, Heliograph reprinted most of that work, and now releases the first new material for Space 1889 in almost two decades: The Complete Canal Priests Of Mars. Even more exciting, later this year Pinnacle Entertainment will release the all-new all-color hardback Savage Worlds Space 1889: Red Sands, a Plot Point campaign and conversion of Space 1889 to the popular Savage Worlds system. The aim of this site is to provide pointers for in print, officially licensed Space 1889 material for fans to explore. This page is setup as one long page to facilitate printing. "Downloads" connects to errata and a character sheet, and "Misc Links" leads to other material you might enjoy if you like Space 1889. For an excellent introduction to the worlds of Space 1889, see Colonel Blimp On Mars, Or An Introduction To The Game Space 1889 By Mark Clark over in our TRMGS section. Print titles are available from Amazon or by special order from your local bookshop. Due to print production restrictions, Heliograph combined some of the books originally published by GDW into double titles. For additional info on purchasing these books, see http://www.heliograph.com/buy.shtml. The links below go to the specific book's entry. The Complete Canal Priests Of Mars restores the third of Marcus Rowland's original manuscript cut by GDW to fit their 64-page adventure format, along with helpful handouts and all new art by Paul Daly. It is an excellent introductory adventure for Space 1889, and should appeal to long time fans and people new to Space 1889. The game's core book provides the rules and setting background for the worlds of Space 1889. An excellent set of colonial era miniatures rules, with added information for the worlds of Space 1889. Includes an extensive listing of armies of the worlds with costume illustrations. This book combines the printed matter from the Sky Galleons of Mars and Cloudships And Gunboats boxed games. Everything you need to design and battle flying ships over Mars, including many ship designs with detailed deckplans. Colonial era naval miniatures warfare, with the twist of Space 1889's flying ships and other Victorian science fiction elements included. It also includes detailed fleet listings for the nations of Earth in 1889, along with campaign rules for what-if naval conflicts. Nine short adventures set among the worlds of Space 1889, including the Moon, Mars, Venus, Mercury, and Earth's Orbital Heliograph Station! Two lengthy campaigns set on Mars, pitting the players against deadly cults and the mysteries of the Red Planet. This Canal Priests is the version originally published by GDW. Conklin's Atlas Of The Worlds And Handy Manual Of Useful Information covers the worlds of Space 1889, while Cloud Captains Of Mars concentrates on the Casablanca of Mars and the piratical Cloud Captains that call it home. Two adventure sourcebooks covering the wilds of Mars. Available from e23 or Drive Thru RPG, the PDFs of the individual titles return the color plates and full sized maps to the books where appropriate. Both sites have preview pages available. Fan produced material for Space 1889, available in print (http://www.heliograph.com/buy.shtml) with many sample articles at http://www.heliograph.com/trmgs/. A few years ago Noise Monster produced an excellent series of audio dramas for Space 1889, complete with professional voice talent, music, and sound effects, which all complement great stories. The CDs are available from Who Northa America, Noise Monster's North American distributor. Go to http://www.whona.com/ and click the Space 1889 link. Highlander Studios recently acquired a license from Frank Chadwick to produce new Space 1889 minis in 15mm. See the Highland Studios Blog for current info. RAFM produced the original Space 1889 character and soldier minis, and they are still available with some new figures added in the last few years: http://www.rafm.com and click the Space 1889 link. 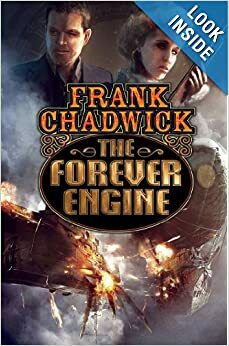 Copyright 2009 by Heliograph, Inc. Space:1889 is Frank Chadwick's registered trademark for his game of Victorian era space-faring.